2. The author of The Hunger Games, Suzanne Collins, was one of the writers on the 1990s teen TV show Clarissa Explains It All. Collins worked in television for many years during the 1990s; her other television writing credits included Clifford’s Puppy Days and The Mystery Files of Shelby Woo. 3. Panem, the setting for The Hunger Games, takes its name from the Latin phrase ‘panem et circenses’ meaning ‘bread and circuses’. This is a reference to a superficial means of appeasing the people – by providing food and entertainment for the ‘masses’. The Latin phrase first appears in Juvenal’s Satires, where Juvenal argues that the easiest way to win people over in politics is through rather crass means: cheap food and plenty of games. As the title, The Hunger Games, demonstrates, both of these things are central to Collins’s novel (and the trilogy as a whole: the other two books in the series are Catching Fire and Mockingjay). 4. Collins’s series is Amazon’s biggest-selling book series ever. This was announced in August 2012: The Hunger Games had officially outsold the seven-part Harry Potter series on Amazon. Not only this, but Amazon announced in March 2012 that Collins was the biggest-selling author on Kindle, outselling E. L. James (and her Fifty Shades of Grey trilogy). 5. The classical story of Theseus is central to The Hunger Games. Collins has mentioned this in interviews about the series. The classical myth describes how Athens would send seven youths of each gender to the Labyrinth to be devoured by the Minotaur. Theseus, the king’s son, volunteers himself, and this is what Katniss Everdeen does in Collins’s series. Collins has described Katniss as ‘a futuristic Theseus’. This allusion to classical mythology is, along with Panem, and the gladiatorial games of ancient Rome, one of many classical references in Collins’s series. If you enjoyed these Hunger Games facts, check out our interesting facts about The Maze Runner. Image: The Hunger Games design © 2013 DeviantArt (labelled for reuse). 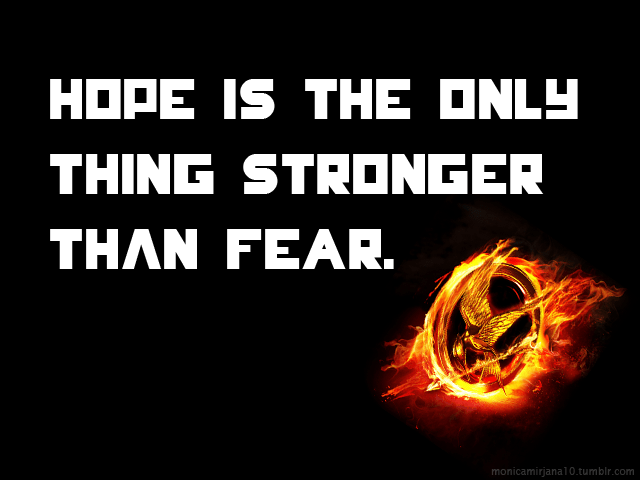 Hey, check out this post from Interesting Literature on The Hunger Games. Some cool stuff here. I knew about the “bread and circuses” phrase (see my post on Finnick for that) but not some of the other things. Cool stuff! Of course! I really enjoyed the piece! Very interesting….can’t believe she outsold Harry Potter and 50 shades, wow!! She’s not related to Joan or Jackie Collins, do you know? As far as I know she’s not part of the Collins dynasty of which Joan and Jackie are illustrious members – though I must confess I don’t know for sure! Thank you so much for this post! Interesting facts. I love the Hunger Games books and I only knew one of these facts. Well, well, here’s some interesting facts about The Hunger Games by Suzanne Collins. I still haven’t read The Hunger Games, but this post made me think that maybe I should…! I hope you enjoy reading them – I think you can pick up the whole trilogy now for a reasonable price. Worth reading just to see what all the fuss is about! My students have a theory that Katniss Everdene shares the name and the romantic history of Bathsheba Everdene in Far From the Madding Crowd. We all became quite convinced of it! Peter is her Gabriel Oak! What a great idea for a book series it was. I have not read any of the books, but did see the film. I never knew The Hunger Games was even more popular than HP! That’s really outstanding. I know! I couldn’t believe it when I read that – though this is only on Amazon, so maybe it points to Amazon’s rising dominance of the bookselling market in the last few years (the first Hunger Games novel came out the year after the final Harry Potter book, I think). Some cool facts here about the best selling series. Interesting facts. I knew a few of them already, but I didn’t know the last one. I’m actually a little surprised that I never picked up on it before. #1 reminds me of how Trudi Canavan watched the Beijing Olympics and came up with class conflicts between magicians and slum dwellers who were purged from the city in The Magician’s Guild. I love how Suzanne Collins sees reality show, Iraq, and then thinks of Greek mythology as a motif!!! Great storyworld!!!! I didn’t know that about Trudi Canavan – that’s a nice fantasy literature link which I’ll be storing up for future use (should I get round to writing a post on fantasy, one of my favourite genres and research interests). Thanks! I had no idea Suzanne Collins used to write for Clarissa Explains It All! I loved that show! Thanks for noting the Theseus connection. I’ve been pointing that out for a long while to the “Battle Royale rip off” crowd. Insights into Suzanne Collins’ thrilling dystopian trilogy. I hadn’t spotted the Theseus reference (much to my shame), but I’m very happy about number 4, which shows just how popular this complex, engaging, wonderfully written story is. Interesting that you and I both wrote about the Hunger Games on the same day. Thanks for following my blog and liking my post. I’m going to link my post to this one. I had no idea so much went into Hunger Games. Though I found the content disturbingly mature for a twelve-year-old audience, I did enjoy the gripping narrative. Reblogged this on Wannabe writer.. The Greco-Roman influence is definitely obvious throughout the trilogy. Even the names echo it (Cato, Caesar, Claudius, Octavia, etc.) I’ve never thought about the Theseus connection, though! I love The Hunger Games books, and have blogged at length about how much you can learn from them in terms of writing technique. From the way that Collins portrays her characters’ emotional state to the layers of building plot, they’re just fantastic. But I’d never realised just how much classical mythology influenced the stories – the Theseus connection completely passed me by – thank you for pointing it out. Outsold both Harry Potter and 50 Shades – Woot! Quality article! The Games is that rare series that can captivate different generations at the same time. Quality stuff. Reblogged this on Philadelphia Stories, Junior. I reblogged this on Readbykevin.com — loved how you nailed so much in such a short space. Wow, I never knew that about Panem. I love when the Classics find their way into pop culture. Also, thank God SOMETHING outsold 50 Shades. Faith in humanity restored.